Sign the address and help Konepajan Bruno to stay in it’s current form as a urban culture oasis instead of being turned into a hardware store! Architect Bruno Granholm’s late 19th century designed Konepajan Bruno was relaunched a year ago for fleamarket and event purposes. A group of producers joined the fold this summer, who helped to liven up Bruno’s summer weekends with food, drinks, bands, clubs, workshops, free yoga, art and other inclusive action. The concept has been received with great enthusiasm by the citizens and the space and area’s potential in invigorating the city’s life and weekends has been experienced as important. 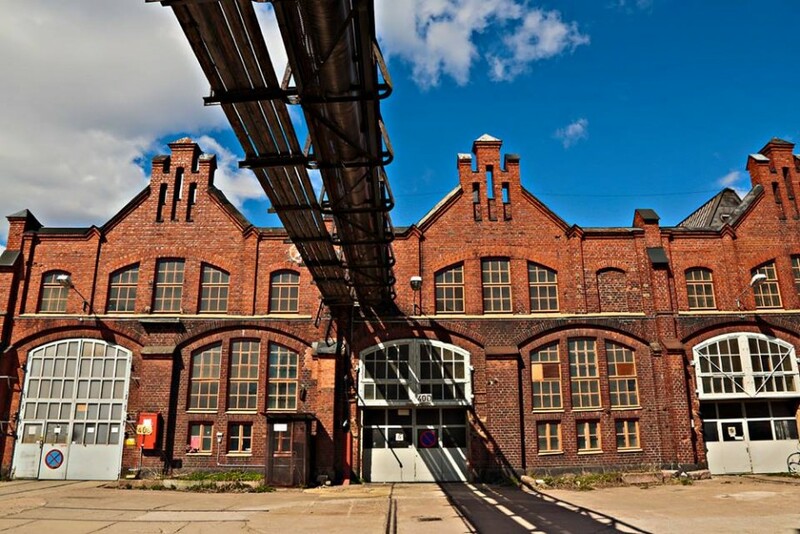 Helsinki has been missing a similiar easy-to-approach DIY-event space altogether – old industrial areas have been reborn via similiar methods in many other European cities, e.g Stockholm, Berlin, Paris, London, Barcelona and Tallinn. Konepajan Bruno’s most important values are approachable city culture, so called “something for everyone” principle. A place, where every citizen can find themselves comfortable at and where they can also produce their own events. The space haven’t been rented to several corporations and the point is not to “bring in the dough”, but rather to create something special around the building with the help of citizens. These old and historically significant complexes are being negotiated to be sold to hardware store chain Bauhaus. The deal threatens not only Konepajan Bruno, but also the other long-running small businesses of the area. We, the signers of this address, demand that the area of Konepaja may enjoy cityscape enriching activity corresponding to the area’s value in the future too. Activity in the complex can be made so, that it doesn’t disturb the locals’ life but invigorates it, e.g through culinary and cultural endeavors. Do tell your friends about the address too! Together we are strong!